Larsen C is the remaining part of the giant Larsen Ice Shelf belonging to Antarctic Peninsula. Its extension is around 68400 km^2 and it is distant around 2000 km far from the southern part of South America. 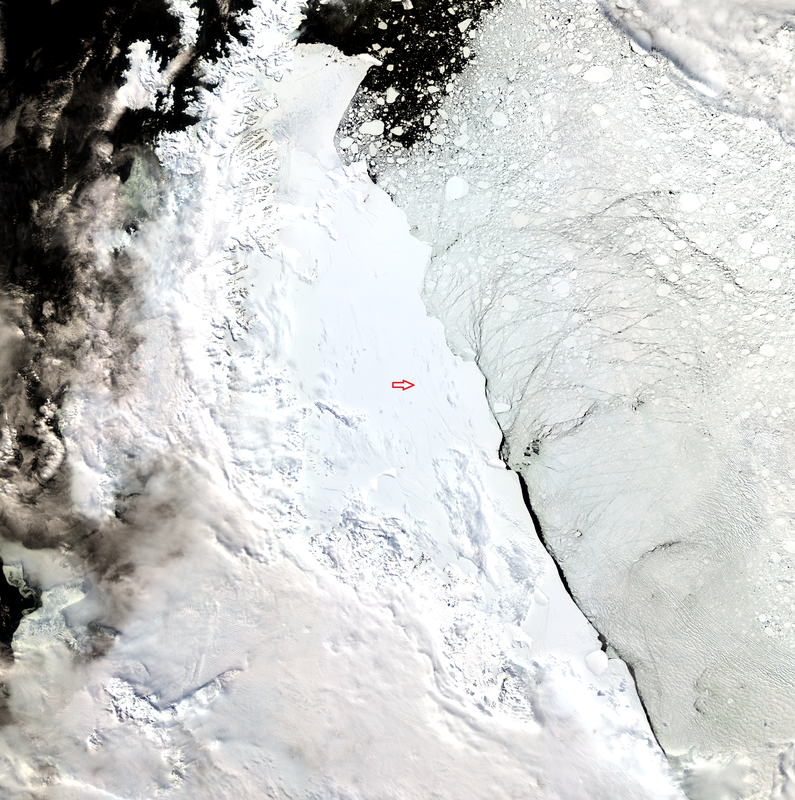 In the last years one of the largest Iceberg ever discovered is breaking from the ice shelf: its size is around 5000 km^2 and it is comparable to Wales. 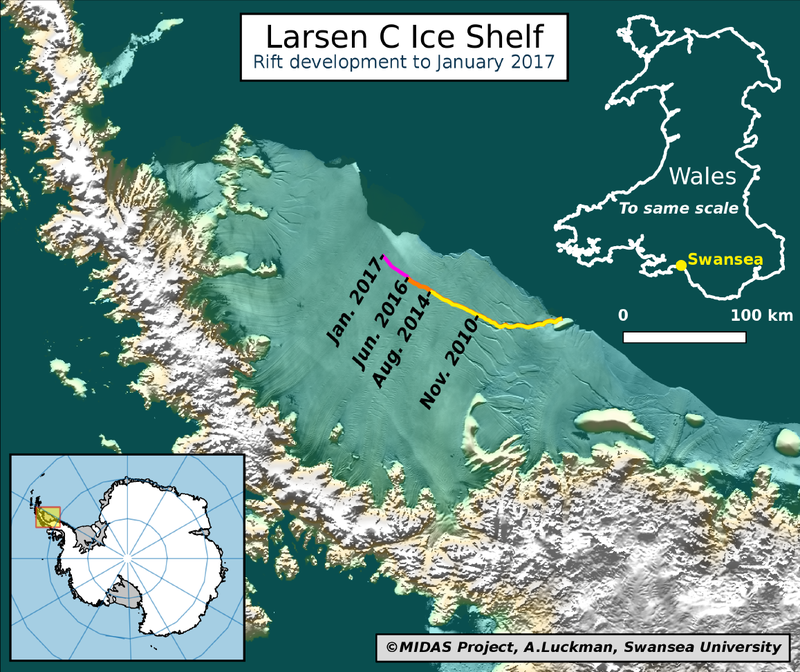 Up to this January only 20 km of ice is keeping the iceberg attached to the Larsen ice shelf and the line break is significantly grown from June 2016 to December 2017. The following images are two animated gif created respectively with two images of OLCI Sentinel 3-A and two images of SAR Sentinel 1-A. 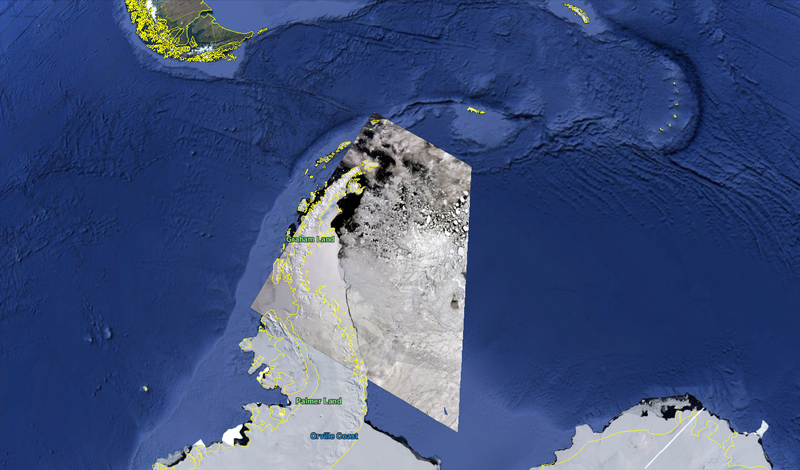 For both instruments the two images have been acquired in different times, 10Nov-31Dec for Sentinel 3-A and 12Nov-11Jan for Sentinel 1-A (GRDM Extra Wide single polarization products).